I was reading a post on Thought Catalog today titled Sometimes Your Best Friend is Your Soul Mate. I was immediately intrigued because I have often spoken of the idea of platonic soul mates. The author of this post didn’t really have the same idea that I had in mind. She thinks if her best friend was a man then she’d be everything she could ever want in someone. I have no desire to date my best friend soul mate and she’s fine just the way she is, thank you. Anita and I are very different. She is ambitious and has always been focused on her career. I have just recently introduced this word into my vocabulary. I can’t resist any of my favorite foods where as she uses “moderation” (except for the European gelato tour of 2007 where we ate gelato every day without fail). She updates me on hockey games where I don’t understand what she’s talking about. Once she took me to a professional soccer game where the main thing that I understood was I got hit in the head with the ball which also spilled my drink. I’ve been lucky enough to have a lot of very good friends throughout the years but it wasn’t until I traveled with Anita that I started pondering the idea of the platonic soul mate. 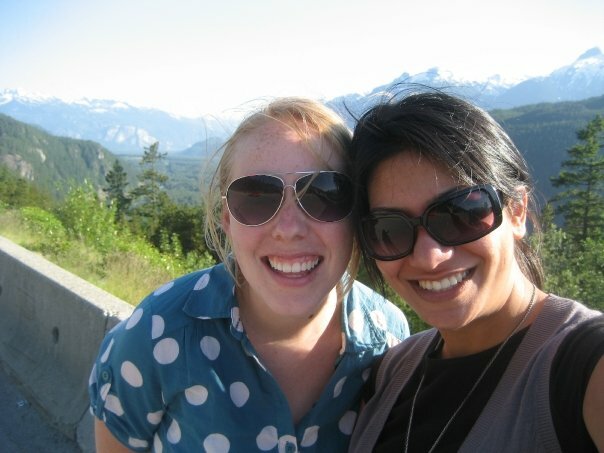 I met Anita on my very first day in Scotland for study abroad and initially I was skeptical. I’d never met anyone so outgoing and genuinely friendly. Was it real? Also, off the bat she expressed how much she loved Justin Timberlake. I let this go after she showed me what to order at an Indian restaurant. It took only a few days for Anita to be my go to person there. I have never made a true friend so quickly and I question whether I will ever enjoy traveling with someone as much as I did with her. Our differences only make our friendship more balanced and therefore all the more special to me. Unfortunately for me, Anita lives in Canada which is inconveniently located (Recently I’ve noticed that almost all my favorite long time friends live in another country. Is it me? Do I smell bad?) so I rarely see her as much as I’d like. I have no idea if there’s a true soul mate (in a romantic sense). Honestly, that’s hard for me to wrap my mind around. But a platonic soul mate? That’s easier for me to grasp. A true friend who knows you and you know them above all others. Someone you can always trust to tell the truth but sugar coats it when you need it. Someone to adventure with.